Guangzhou Suichuang Information Technology Co., Ltd. is a software high-tech enterprise which focuses on the overall solution of the new energy industry. It is committed to providing digital enterprise solutions for the new energy automatic production line industry. We not only have the leading industry information solutions, but also cooperate with the well-known automation enterprises in the industry, and provide an integrated intelligent manufacturing solution that combines automation and information. Founded in 2016, its employees are from world-class high-tech Internet companies, as well as battery and electronics manufacturers. 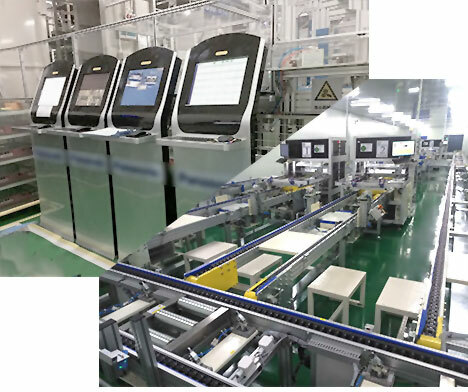 We provide digital solutions for leading enterprises in Panasonic energy, LG chemistry, Guolian power battery, Shenzhen Tianjin battery, CITIC unalliance Gu Li power, Ningbo Delong energy and other leading enterprises.